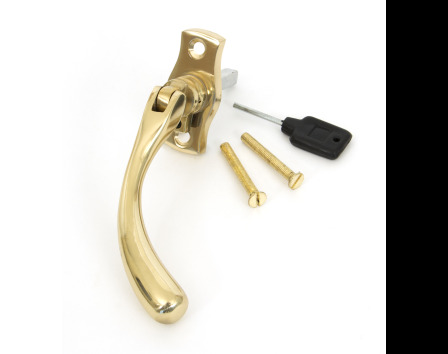 A very simple yet traditional style of window handle which is ideal for the modern era and can be fitted on any modern espagnolette rod or stand-alone centre lock. They have a 7mm x 40mm spindle and can be locked with a grub screw hidden under the handle. Sold with allen key and matching fixing bolts.